This app allows store owner to notify customer regarding stock availability. 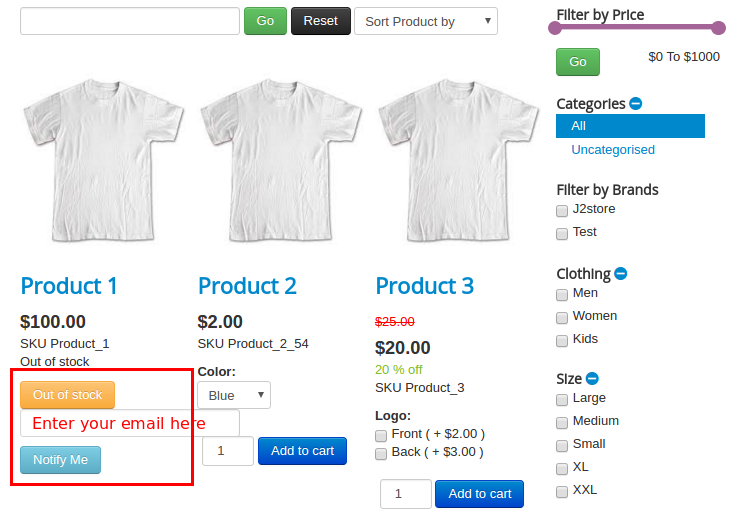 If product's stock goes to "OUT OF STOCK" then Notify Me button will be generated where customer can type his / her Email id and click Notify Me. So when product's stock becomes available, customer get an email notification. 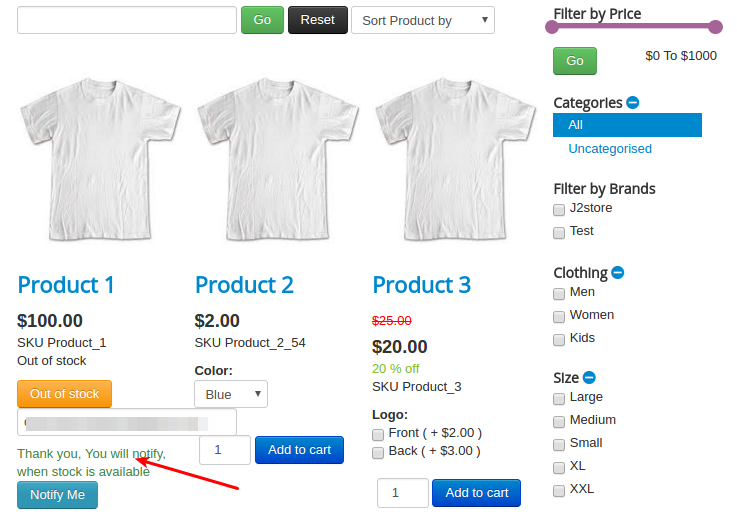 Go to J2Store > Apps, find Availability Notification app and click enable to activate the app. Once enabled, click open to setup the Basic Settings of the app. Delete Email after send email to customer ? Choose YES will delete the email id from Email text box once the email has been sent. The Default button text is "Notify Me". You can enter the custom text for the button. If you are using mulitilingual site, create language override for the language constant. It is the Email body section. Text entered here will be displayed in the Body of the email. It is the Email subject section. Text entered here will be displayed as Subject of the email. How to track the users? 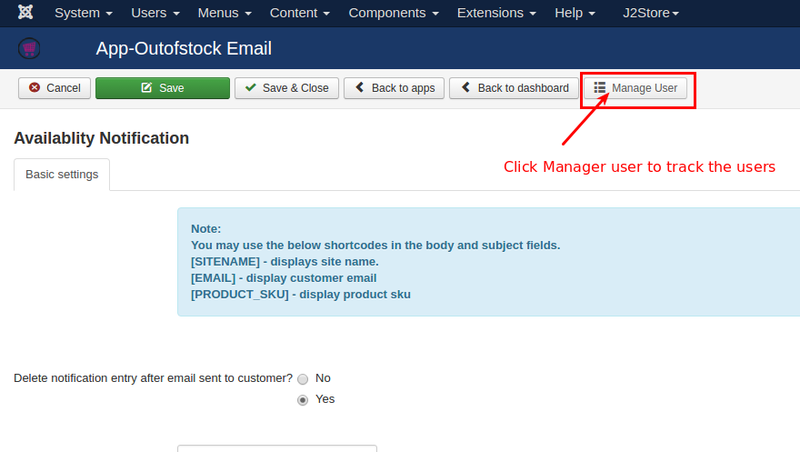 With this plugin, you can able to manage the users who are requesting Stock notification via Email. On top of the app, you can see Manage user button. Click on that button to view the users.